I get it. You love your dog more than you ever imagined. The day you brought them home changed your life for the better — despite the chewed up shoes, emergency vet visits and occasional pee on the floor. They throw a party for you when you come home, sit with you in times of stress or sadness without judgment, demand you fulfill your daily step requirements but most of all, they love you unconditionally. Dogs are simply THE BEST. Cats, we love you too. My approach to pet photography builds on this connection. It's natural and authentic rather than overly posed and perfect. 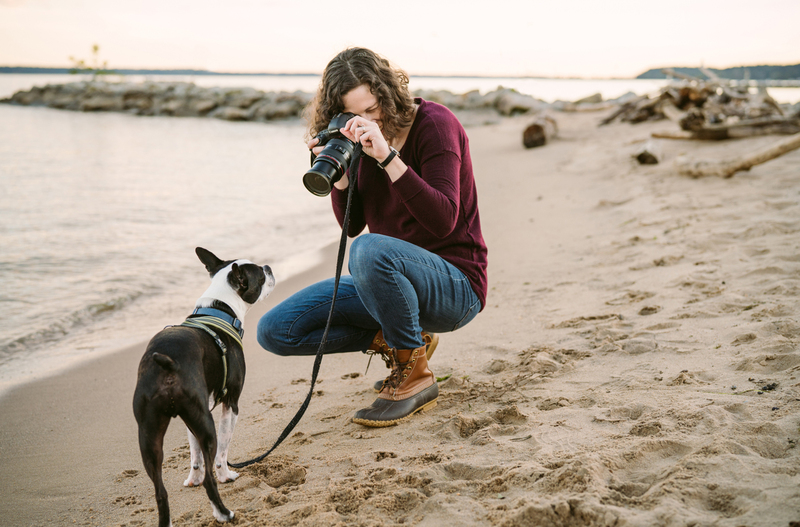 I aim to capture those moments of love and companionship alongside a healthy dose of dog-induced chaos. 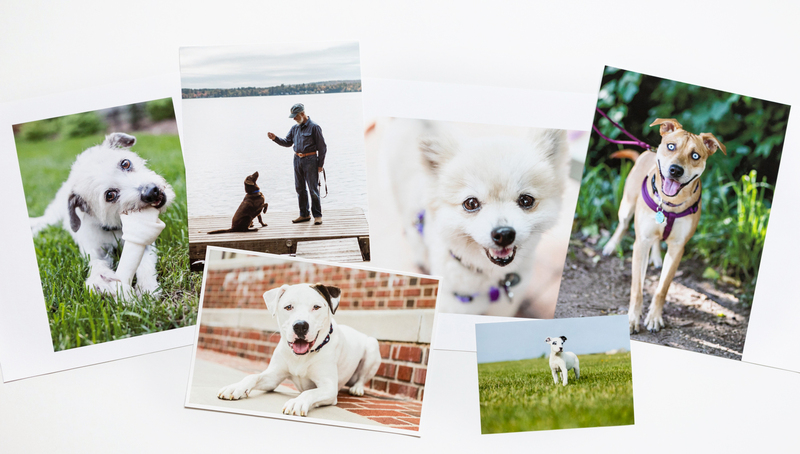 Each photo experience is focused on preserving moments of your dog's unique personality and the bond you share with them. For your dog, the experience is simply a few hours of doing all of their favorite things. For you, it’s a fun way to take a deep breath and reconnect with what truly matters. We always photograph in a relaxed, safe, natural setting with plenty of treats, toys and time. Photo shoots start at $400 and are available throughout the year. A typical shoot will run 2-3 hours and cover a few locations — indoors and out. All family members are encouraged to attend. Learn more below. My product line is based on my firmly held belief that artwork should look and feel amazing, be made to last a lifetime and have a low carbon footprint. All fine art prints are made in-house and I've worked to ensure my vendors share my passion for finely crafted, environmentally sustainable artwork. You’ll also receive a private online gallery to proof the images at your leisure. 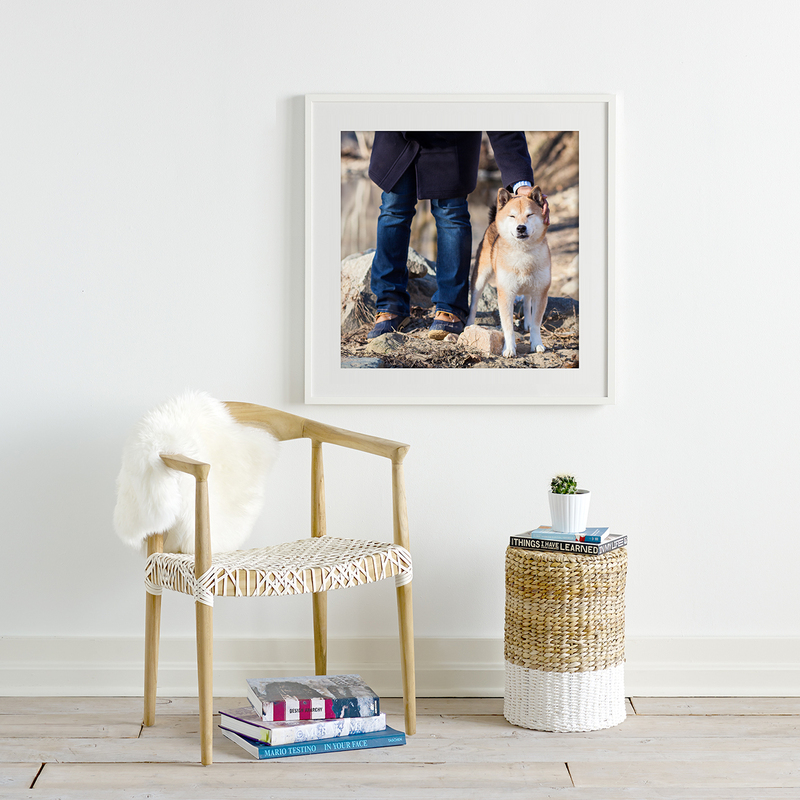 From this gallery, you’ll be able to select favorites, download and share web-friendly watermarked files and order from our full product catalog. *For clients outside the DC-metro area, we can work remotely to design a wall display perfect for your space. Photo Shoots start at $400. 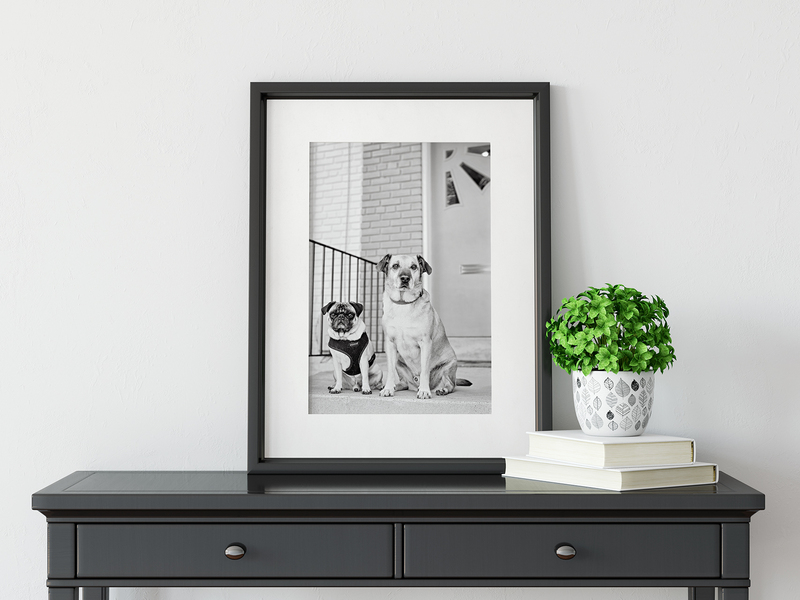 The Shoot Fee includes: Color and black + white photography of up to 2 pets and family members, $100 print credit, retouching, online gallery + web-friendly watermarked files. 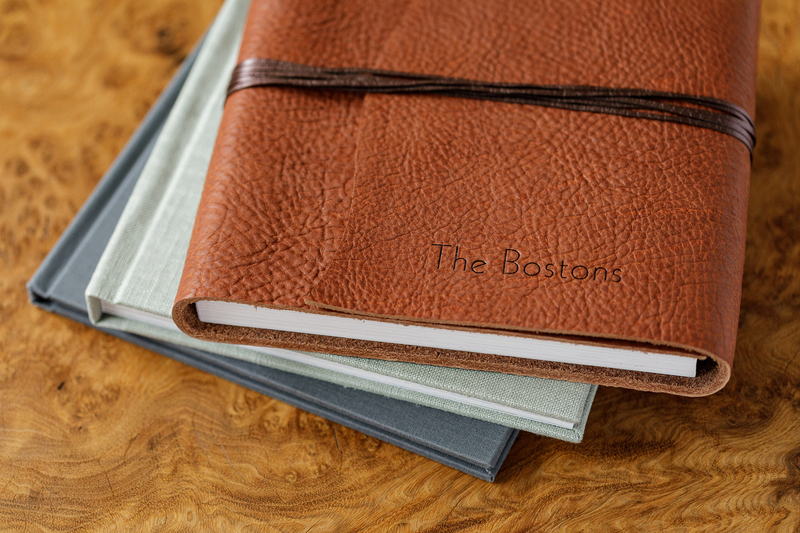 Our curated product line is available á la carte. Depending on the location, an additional photo permit fee may be required. Most clients invest between $800 - $1600 on their photography experience and artwork. See what our clients had to say about their experience. Learn about our favorite shoot locations. If you are not ready for a full documentary session, check out our bi-annual Mini-Studio Session events in Washington, DC. Serving the DC metro area + beyond. 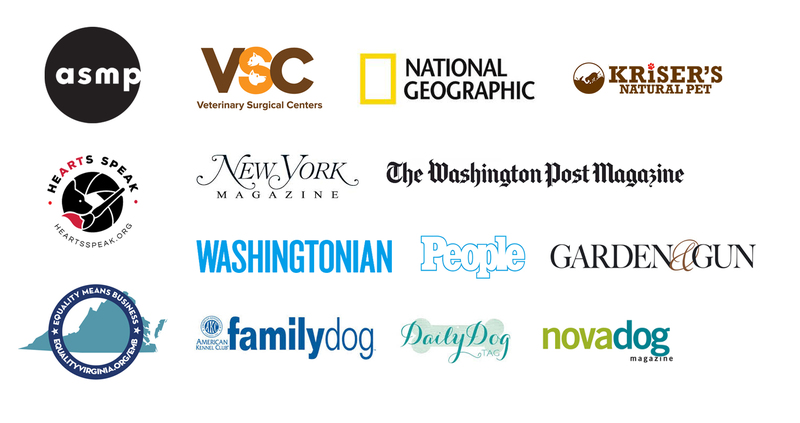 Join our mailing list for special event announcements + stories from our pack of pups! I have a passion for partnering with brands and agencies, big and small, to develop engaging, story-driven content through stills and video. If you have a project that needs a fresh new look and want to have a great time developing it, I’d love to collaborate with you. More information and my commercial portfolio can be found here. Join our model database for opportunities to participate in commercial, editorial or passion projects!